What do you think? 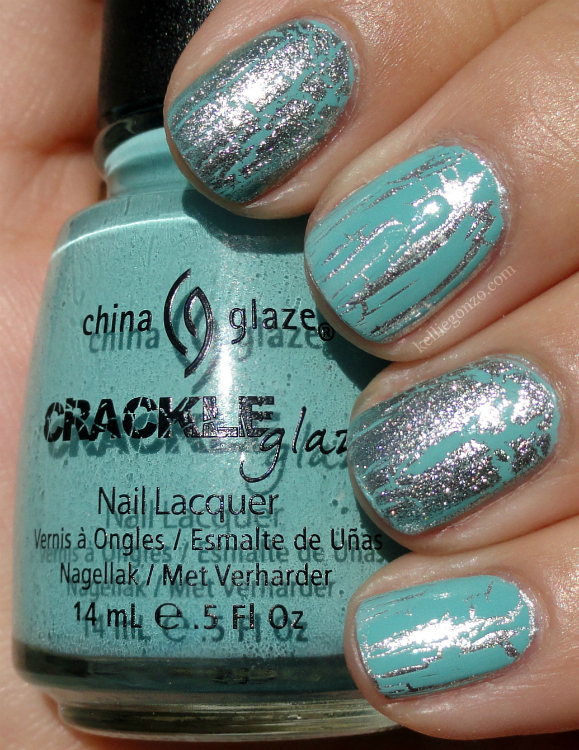 In these photos I prefer the base of For Audrey with the Silver Shatter on top (index and ring fingers), but in real life the prettier combo in my opinion is the base of Cheers to You and the crackle of Crushed Candy (middle and pinky fingers). It pops more or something. Maybe because the metallic shatter shines so much you can't see the base turquoise as well? Either way it was a fun mani and I'm glad I tried it out! Have you tried any especially cute shatter combos that I should try? Some of the products shown were provided for review. Hot New Deborah Lippmann Shades: Sneak Peek! Color Club Back to Boho Collection: Sneak Peek! OPI Miss Universe Collection: Sneak Peek!